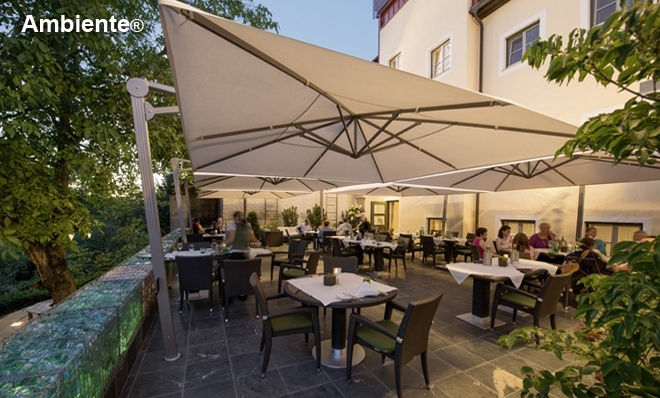 In addition to retractable and stationary awnings, Rolltec® offers a selection of Giant umbrellas by Glatz. 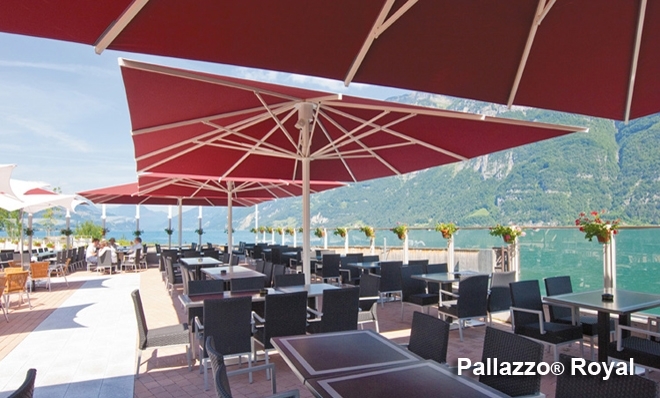 A leader in umbrella industry, Glatz, a Swiss family company, has been in business since 1897. 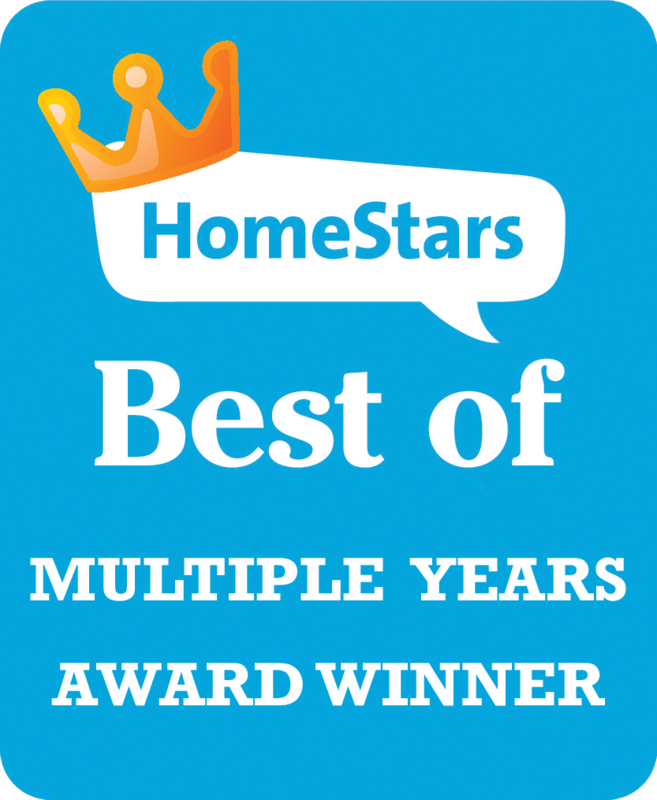 Known for superior quality, elegant design, and durability, Glatz offers a variety of models to suit specific needs. 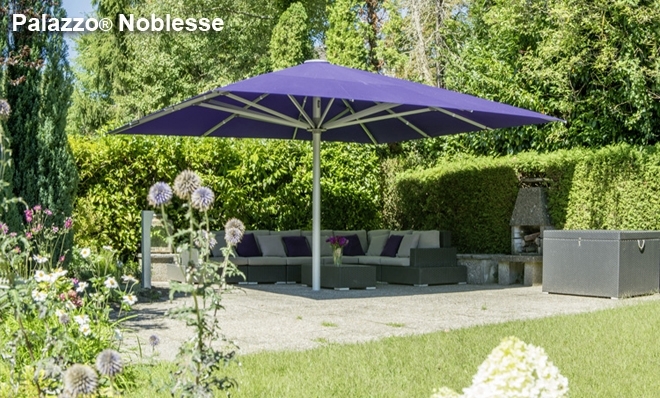 Here are the most popular models of the giant umbrella line: The Palazzo® Royal, Palazzo® Noblesse, Castello®, and the Ambiente®. 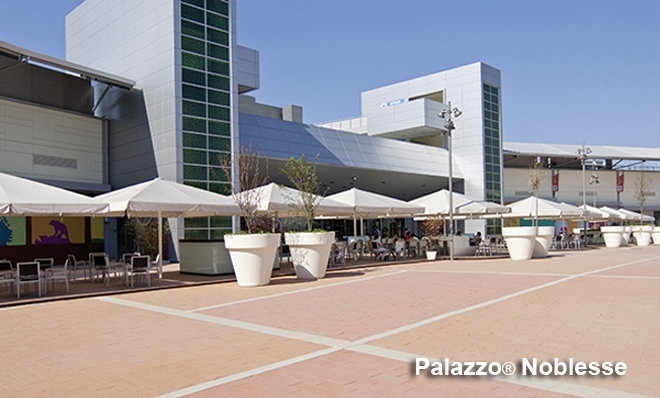 The Palazzo® Royal is among the largest and most durable, sizing as big as 7m x7m square, 8m x 6m rectangular or 8m in diameter round, offering high wind resistance. The Palazzo® Noblesse, a similar but slightly smaller model, measuring up to 6m x 6m square, 6m x 5m rectangular or 7m in diameter round. Both of the Palazzo models are operated by hand crank. They can withstand wind up to 60-90 km/hour. The Castello® model is slightly lighter than the Palazzo models, measuring up to 5m x 5m square, 5m x 4m rectangular or 6m in diameter round, with the same sleek style, and durability, at a smaller cost. The Castello can be either operated by a crank or tensioning lever. 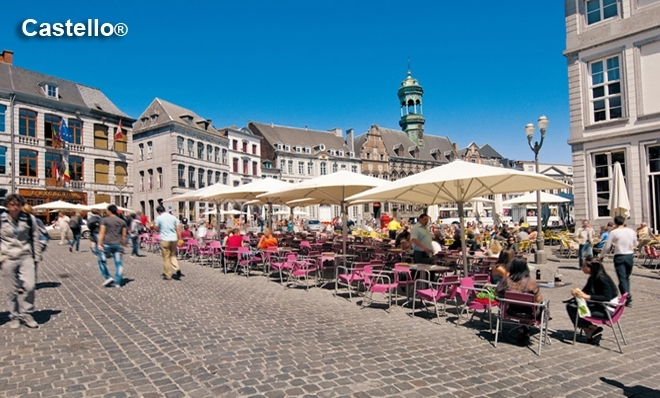 Lastly, Rolltec® offers The Ambiente®, a giant sidepost umbrella, with sizing up to 4m x 4m square, 4.5m x 3.5m rectangular or 5m in diameter round. This umbrella can be opened and closed by a crank and can withstand wind up to 40km/hour. 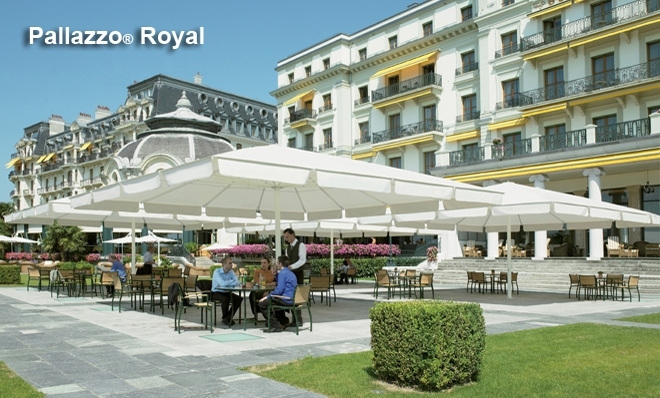 All umbrellas are available with select customization options, a wide selection of fabrics, options for round, square or rectangular design, and different methods of anchoring. 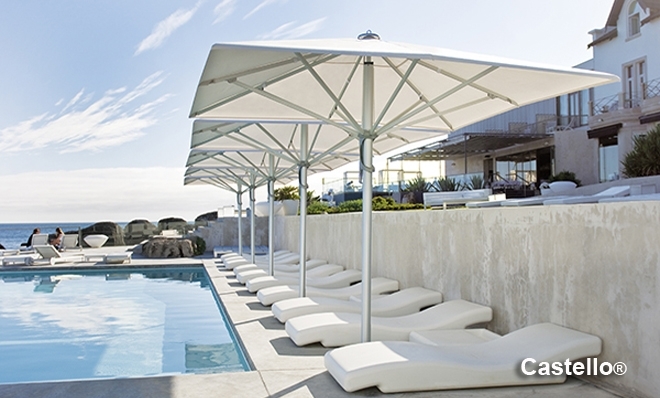 While combining beauty, elegance and precise engineering, all giant umbrellas provide a durable shelter for both residential and commercial applications. 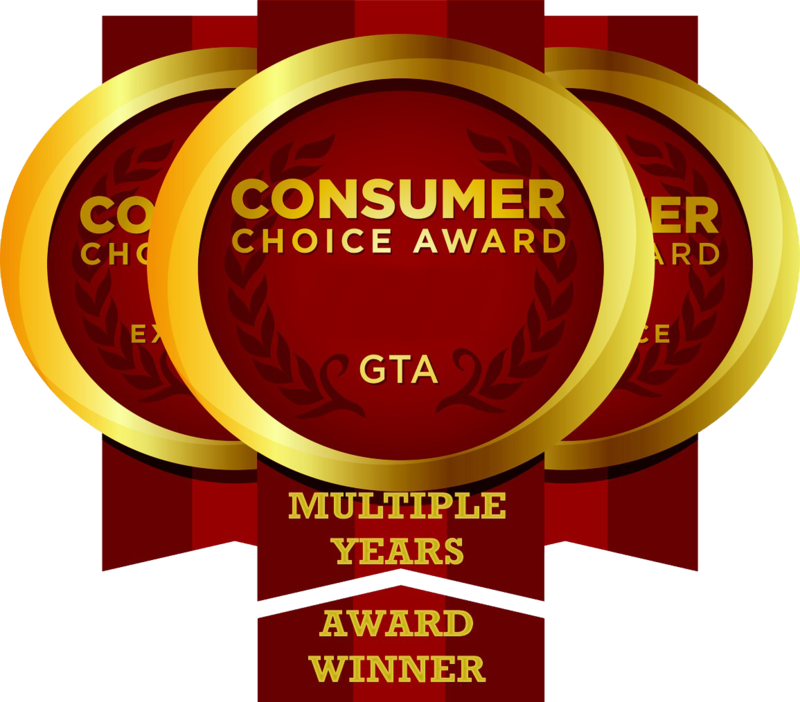 All Giant umbrellas are custom ordered, therefore please allow 8-10 weeks for delivery.